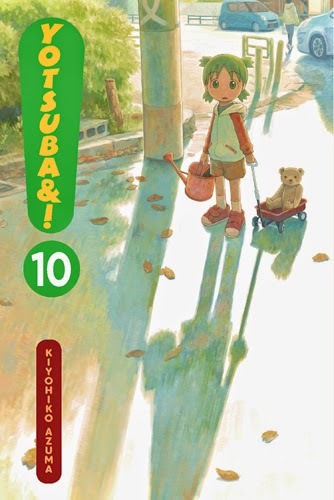 Manga Monday: Yotsuba's on TV! She must be famous! Between running a house, going to the park and entertaining Jumbo, it's no wonder Yotsuba's worn out in Yotsuba&! Volume 10. Note: Yotsuba&! Volume 10 is part of an ongoing series. Check out the review of Volume 1 here, and Volume 9 here. Otherwise, read on!